During my last visit to Okinawa, I visited Mexico restaurant in Ginowan. 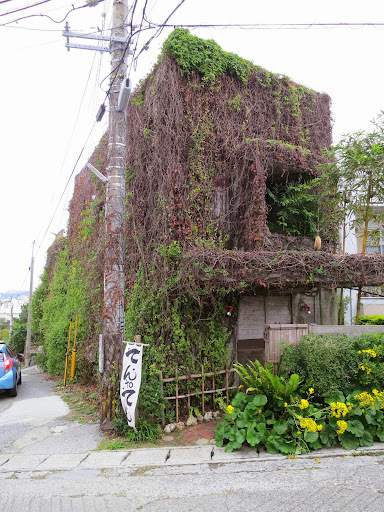 Ginowan is located between Naha and Chatan. Mexico is a unique restaurant which serves only one thing : handmade fresh tacos. That’s it! I found Ten to Ten or in Japanese てん to てん　on the very popular Tabelog website where it earned the first place in the lunch/café section for the year 2013. 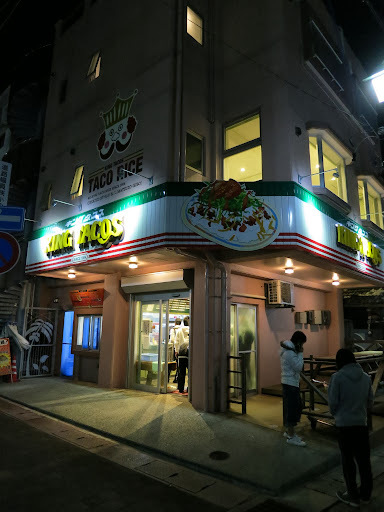 Tabelog is a very popular site in Japan and when you make it to first place, you can expect a horde of foodies to come down to your place. The legendary King Tacos has a new address in Kin Town. I visited the original King Tacos about 2 years ago and the new shop is great. The new shop is hundred meter away. We braved the wind and the rain to get to Habu Shokudou which is located right inside to the main gate of Naha harbour. This place is not on the regular tourist trail, but make the hike, you won’t regret it. I also suggest you go there on an empty stomach, you might even consider skipping a couple of meals before you visit Habu Shokudou. You will see why really soon. When you land on Ishigaki Island in Okinawa, it has this weird last frontier kind of feeling, yet I was surprised to see a Starbucks Coffee shop at the airport. This is where it’s stop, there is only one Starbucks on the island. The car navigation was telling me to turn left but I was starting to have strong doubts. I knew that Tofu no Higa was a small restaurant, but I could not imagine it was in the middle of a field just outside the center of Ishigaki city. Ishigaki Island is the last frontier of Japan, a remote outpost closer to Taiwan than the main land. It is also famous for it’s beef and I had a chance to try it at Takesan Tei. Japan might be one of the biggest coffee importer in the world, but when it come to producing coffee, you will need to head to Hiro Coffee Farm in the northern part of Okinawa to taste truly Japanese home grown coffee.